While a written opinion is forthcoming, following oral argument on Thursday, the three-judge panel deliberated for 30 minutes and then emerged to advise that the requested injunction had been denied. It called the lower court’s ruling “exceptionally well-reasoned,” and asserted that the complainants had failed to prove that the district’s policy violated their “bodily privacy,” NBC Philadelphia and the Philadelphia Inquirer report. As previously reported, the legal challenge, filed against the Boyertown School District near Reading, began in early 2017 when a male student and his parents felt that their voice was not being heard in regard to a girl who was allowed to change in the boys’ locker room. According to the lawsuit, and an online video released by Alliance Defending Freedom (ADF)-affiliated attorney Randall Wenger, in October 2016, as the student was changing in the boys’ locker room for gym class, he noticed a girl standing just feet away from him also in a state of partial undress. “While he was partially undressed, he looked behind him and noticed a girl standing there wearing nothing above her waist other than a bra,” Wenger explained. Immediately concerned about the situation—as he was standing in nothing but his underwear, the teen hurriedly put his clothes on and left. Unsatisfied with Foley’s answer, the teen’s parents then met with Principal Brett Cooper, but he reiterated that the boy could use the nurse’s office if he was uncomfortable changing his clothes in front of the girl. They soon also met with district Superintendent Richard Faidley, but he too held his ground, stating that if the boy did not want to change in the presence of the girl, and if he did not wish to use the nurse’s office, his parents could take him out of school and homeschool him. 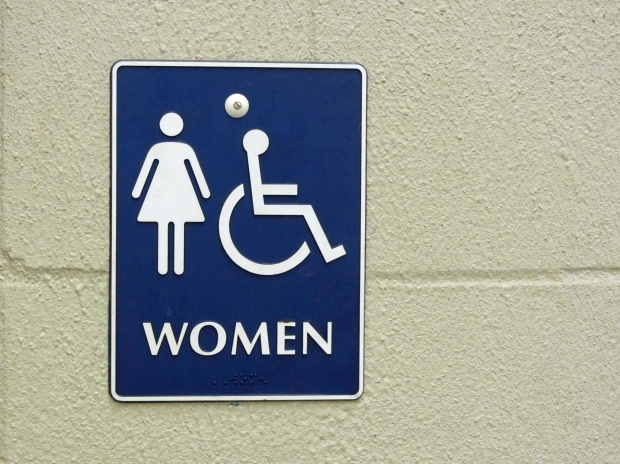 The student sued the school district in March 2017, and since then, four other students have come aboard as plaintiffs, including Alexis Lightcap, who similarly went to Principal Foley after finding a male in the girls’ restroom. “I wish that the school had protected my privacy somehow. It felt like a specific group of people were protected, while the greater population was not,” Lightcap stated. A federal judge declined to grant the injunction in August, stating that the students had failed to show that they were being injured by the district’s allowance. ADF appealed, which led to this week’s decision. The religious liberties group says that it plans to continue the legal fight.